At Premium Termite and Pest Control, you can feel secure knowing that your home is being protected against unwanted termites and pests. No home infestation is identical, which means that every problem requires an individual solution. Easy communication and appointment. Great customer service. Tech arrived on time with a phone call before his arrival and giving us an ETA. Great communication and experience. The free inspection was extremely thorough and took an hour and a half! The technician explained everything and the report emailed afterwards was detailed and gave us options. Just based on the technician's (Chris Tucker's) professionalism I am hiring Premium for the fumigation. Good examination, but hope cost for treatment maybe less expensive. Carson was on time and very professional. The initial service was fast, efficient, and reasonably priced. Each step of the way was explained to me thoroughly. Very prompt and professional. My mother was very please with how thorough the inspection was and how the technician took time to explain every little details and what to expect. Will most certainly use your company for our termite services. Thank you. Joel goes out of his way to make sure everything goes well. Best customer service i have ever had. Came out promptly after my phone call. Friendly service. The technician was very clean cut and nice. Was pleased with service and the thoroughness of the inspection. Your company did the best inspection out of the three companies we contacted. We will definitely be using you for our termite service. The whole staff from Chris the estimator to the two men that came to work on the house were professional and courteous, and most importantly explained what they were doing along the way. They cleaned up after they had finished treating and repaired the termite damage. Robert was very nice, he sprayed yesterday and I am excited to see if the ants begin to disappear. Always a pleasure conducting business with Premiere Termite & Pest Control! Friendly and professional! The service was great, prompt and very professional. Would definitely use them again and recommend them to my circle. Chris Tucker was a very nice and professional inspector. Always such a professional service. They did a great job! So far, termites and ants gone! Got here early, on time. Was impressed with the work he did. Would definitely recommend them! Premium Pest Control has always been a fairly priced and honest company to work with and I would definitely recommend them! I refer my clients to Premium Termite and Pest Control and they service my house as well! It is a pleasure to work with the staff! Will get back with you when my landlord returns from out of town and makes his decision. Meanwhile, please be patient. I am extremely happy with the service. Their technicians are great! I am pleased with the initial, thorough inspection and look forward to working with your company. The guy who came out to visit us (i forget his name) was very helpful and courteous. Very friendly and professional service . Outstanding customer service. Professional staff, honest assessments and reasonable pricing. Arrived on time and were thorough and efficient. 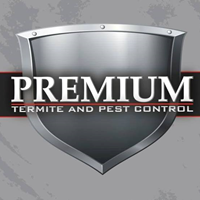 The Crew at Premium Termite got the job done right the first time at a great price. My usual termite guys could not come out till the following week after subterranean termites swarmed in my house and when they did they said they could not have done it cheaper than what Premium had already done at double the dose and covering my whole front house (X) company said they only go 6ft either side of infestation unlike premium. I now know who my new Termite company is. thanks again Walt Long Beach. Thanks, we will call you back & ask more questions before termite treatment . We were glad to get the repair estimate but we would like one company to do the whole job instead of having separate roofing and repair and paint contractors. Every thing was good, but the Fumigation+ wood repair were high. Sorry, no deal. I have not scheduled the tenting of my house as yet I am just in the process of getting quotes but I can tell you Carson at Premium termite was the most knowledgeable and thorough yet. Very impressed.